Hey guys! So today's DWTW, while it may not necessarily be a "dress" kind of post, it's one I know needs to be shared. Does anyone else hate when your hair falls in your face while trying to test? It's the worst. So what do you do? You take that spare pencil you know you won't use and you throw all that hair up in a classic French Twist. 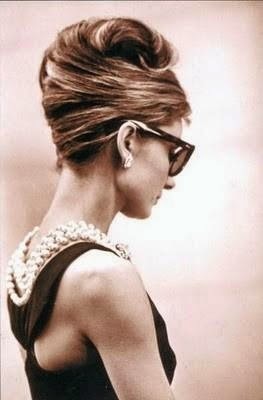 I'm no Audrey, but I sure do love a French Twist. They're required for my competition dance group and, once I learned how from our resident French Twist expert, I've been wearing them all the time. It's tricky at first, but I've gotten to the point where I can simply throw it up anywhere. And all you need is a pencil. 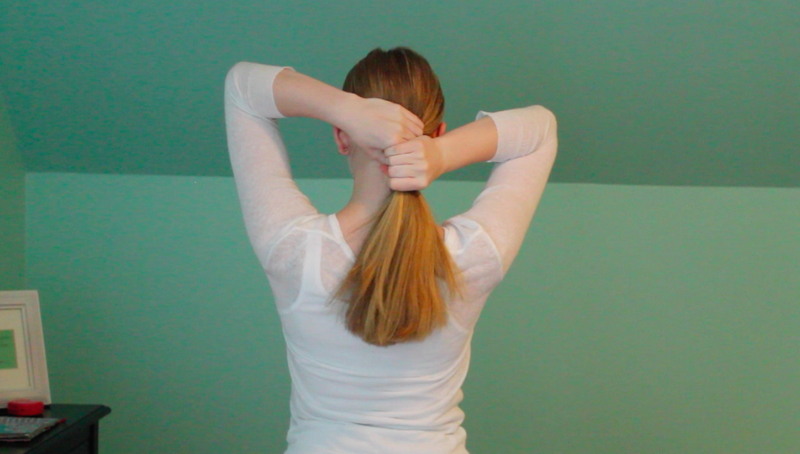 Start by gathering all your hair into a low ponytail with you hands. This is the easy part my loves. 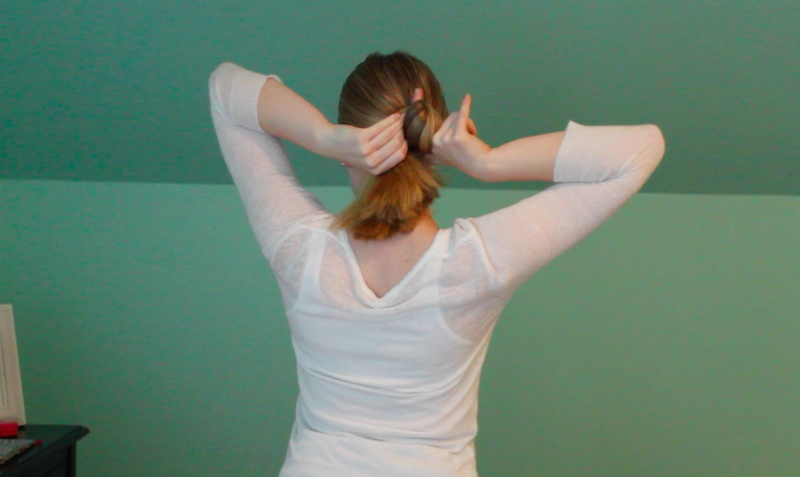 Next, take one finger, or two for long and/or thick hair like mine, and put it on the left side of your pony. Start to twist up your French Twist with your finger, wrapping around and around and getting it as tight as possible. It takes a few tries at first, but it's worth it. Here's a quick little gif to show you about how the "twisting" should work. Once you have your twist wrapped up, grab your pencil. I stick to mechanical pencils or wood, but never pens. 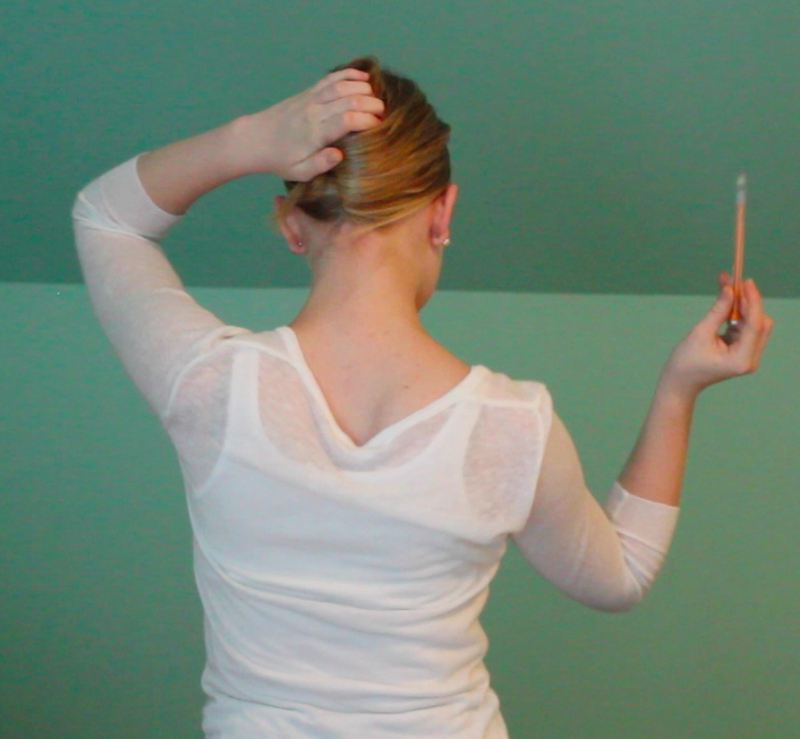 Stick your pencil in and almost sew through your hair, getting it through the twist and your scalp. And when you're done, it should look a little something like this. Today's testing tip: don't tire yourself out cramming studying the night before. I am so guilty of this. Staying up all night studying for exams, while it seems beneficial at the time, can be more harm than help. Space out your studying over two, even three days, and get your sleep the night before. This was my first real tutorial, but it was so fun to do. I hope you guys can use this as often as I do! Great tutorial! I am so awful at those- but you make it look so easy! Hopefully I will get better with practice.